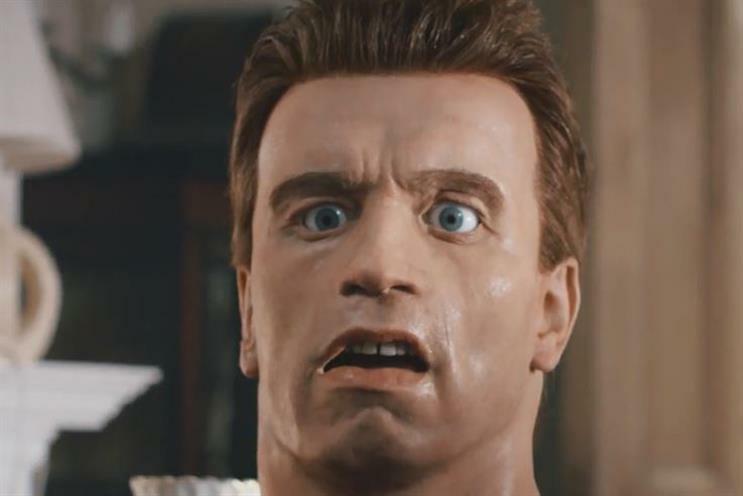 The Financial Conduct Authority has revived its surreal PPI campaign with two new online films featuring its Arnold Schwarzenegger character going back in time. The ads, created by M&C Saatchi, show Arnie visiting the early 90s and 2000 to show how consumers may have been mis-sold payment protection insurance through property and gadget purchases. The two films – "Mortgage 90s" and "Store card 2000s" – urge viewers to check if they are owed compensation by financial services providers by 29 August. The FCA’s head of business and consumer communications Emma Stranack oversaw development of the campaign. Dom Moira was copywriter on the ads, while art direction was by Kieron Roe. Production was handled by Hunkydory, and the ads were directed by Luc Schurgers. Justin Tindall, M&C Saatchi's chief creative officer, commented: "Our Arnie is back and once again ready to snap people out of their indecision over PPI in a way that feels fresh and new, using the nostalgia we all have for the 90’s and 00’s to remind people to check if they were missold PPI. He is truly forcing the British public to wake up and pay attention." M&C Saatchi was appointed by the FCA in late 2016 to lead a £42m campaign in the countdown to the deadline, while Manning Gottlieb OMD was brought in to handle media buying. The launch "Deadline awareness" ad was named Pick of the Week by Campaign in September 2017.